Looking for an apt piece of ornamentation for your unembellished furniture or something to gift over the festive season? 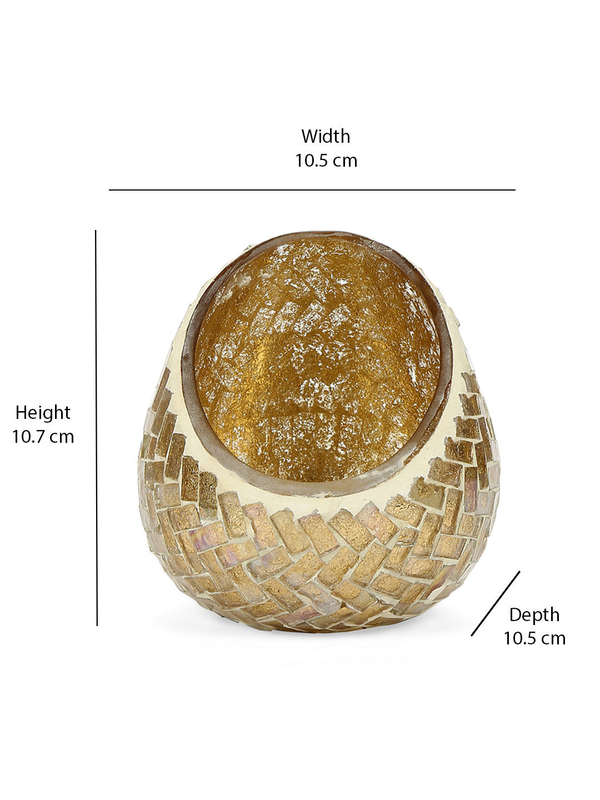 Nothing better than the Mosaic Rectangular Votive, its presence will add elegance to your adobe. The composing shape and the surface detailing are sure to make the piece of art a coveted one. It is sure to stand out as a royal choice while also leaving behind a sense of ingenious sense of maturity to your decor preferences. Light up the room with the beautifully crafted Mosaic Rectangular Votive that will add some glam to your subtle decor.